When SAGE Senior Project Manager Jason Brine was given the task of managing the operational monitoring and control scope of SA Water’s ‘Zero Cost Energy Future’ project, he was yet to realise the profound impact it would have on his career. 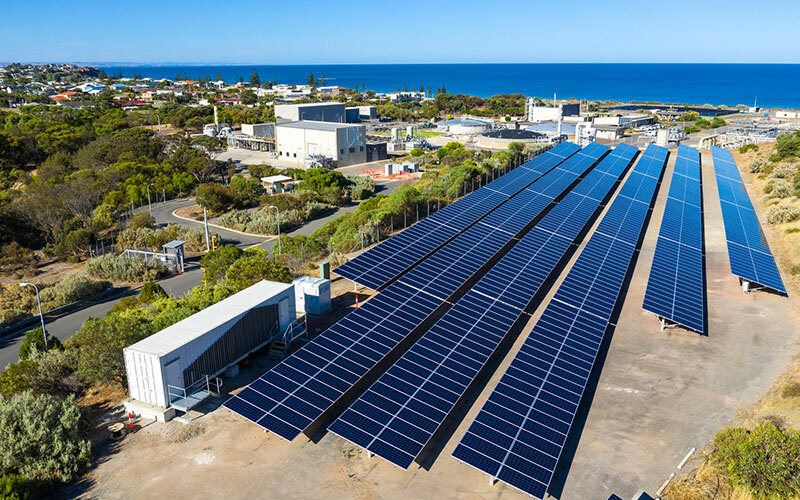 Hinging on SA Water’s ambitious goal to achieve zero net energy operating costs by mid-2020 through large scale solar and storage, the project proved both challenging and rewarding. 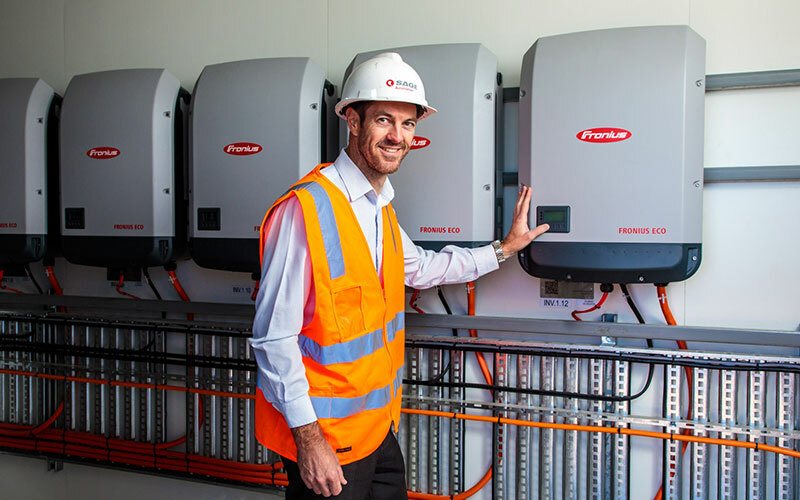 Spread across nearly 80 of SA Water’s high energy usage sites, SAGE was tasked with supplying the control and monitoring systems for more than half a million solar panels, supported by electrical storage with EPC contractor Enerven. The large PV solar and battery system will facilitate SA Water to offset its imported energy by behind-the-meter generation, exporting energy back into the grid. SA Water will become Australia’s leading water authority in this space. 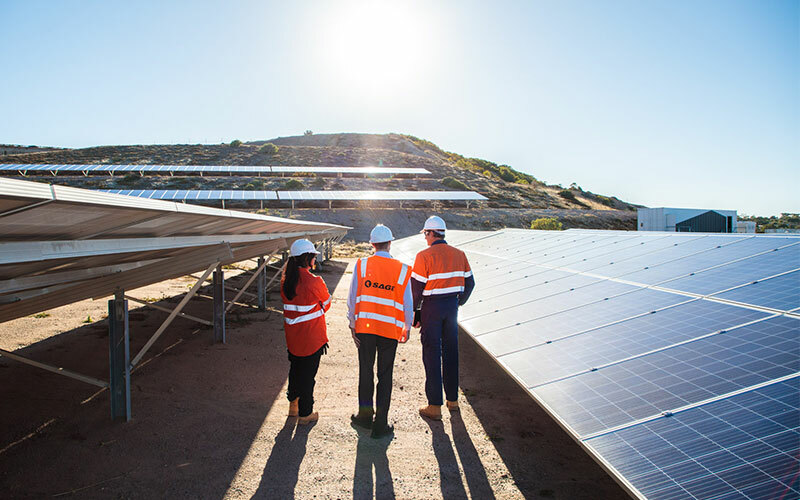 We spoke to Jason about what it was like to manage Stage 1 of the large-scale project, cementing South Australia as the nation’s renewable energy hub. Describe what the ‘Zero Cost Energy Future’ project was like to manage? ‘Zero Cost Energy Future’ is a key project for SAGE and one that challenged the way we traditionally deliver projects. It was critical to ensure we met the requirements of the client and the Network Service Provider, who were not seasoned in delivering behind-the-meter applications of this scale with challenging network constraints. SA Water is leading other water authorities in this space, and this was their first large PV solar system installation. Were there any key highlights for you? SAGE was well positioned for the project, presenting the opportunity to combine two key markets: water – where SAGE has established itself as an industry leader over 10 years of delivering projects; and energy – which has been identified as a target growth sector for SAGE. The project goal also appealed to us for its positive goal of providing SA Water customers with value for money while also reducing our impact on the environment. As a renewable energy project, it strongly aligns with SAGE Group’s greater focus on creating a smarter future and a better world. One of the challenges we faced in the project was the technology hadn’t been applied in this nature before, while the scale of the project was new to a lot of the project stakeholders who were defining the rules along the way. We were virtually pioneering this space to establish the footprint for future projects.